The homes in Jarrow, Hylton, Hetton-le-Hole and Ryhope are in line to be some of the first in the UK to benefit from a new way of installing ‘full fibre’ broadband, by using the infrastructure already in place for the existing copper broadband network. Extensive testing and trials elsewhere in the UK have shown that building over the existing network means the technology can be deployed quickly and efficiently, sometimes within weeks. And by using existing infrastructure, such as underground cable ducts, it avoids the need to dig up footpaths and driveways. The technology is capable of providing ultrafast broadband speeds of up to 1Gbps – fast enough to download a two hour HD movie in twenty five seconds or a forty five minute long HD TV programme in just five seconds. 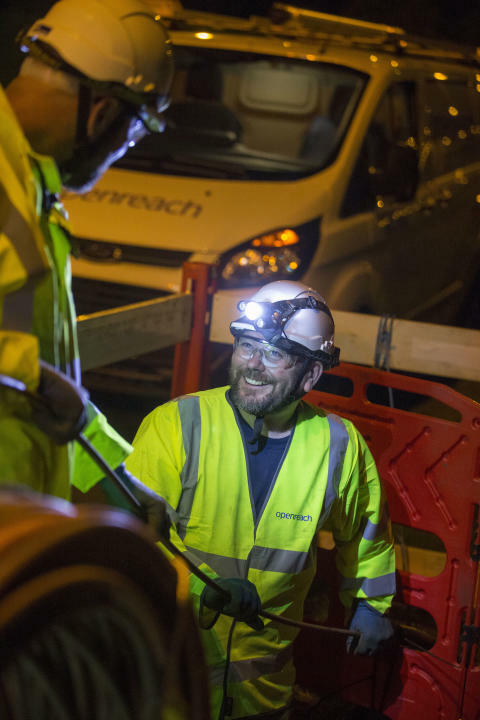 Kim Mears, managing director of infrastructure delivery at Openreach, said: “We’re investing heavily in ultrafast broadband because we’re committed to giving Britain a first class network, capable of delivering the very latest communication services for households and businesses. By using new techniques, like we will be doing here in Sunderland and South Tyneside, we have already halved the cost of delivering ‘full fibre’ infrastructure. Openreach has passed more than 770,000 premises with high speed technologies, making it the largest ultrafast network in the UK. The network is open for all communications providers - to deliver broadband services that homes and businesses buy from them. Derek Richardson, Openreach’s programme director for the North East, said: “I’m delighted to see customers in parts of Sunderland and South Tyneside set to benefit from this initiative, some of whom have struggled with lower than average speeds in the past. Openreach is building ‘full-fibre’ to a number of other developments across the UK using similar techniques. More than 20,000 homes and businesses are set to benefit, mostly by the end of December 2017. This planned deployment is part of Openreach’s aim to make ultrafast speeds available to 12 million premises by the end of 2020 – of which two million is using full fibre technology. Sunderland and South Tyneside where more than 98 per cent of homes and businesses already have access to high-speed broadband.